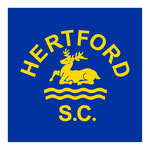 Hertford Swimming Club is a friendly teaching & competitive club who offer a high standard of coaching to our swimmers. We are affiliated to Swim England East region. We are SwimMark accredited. The club was founded in 1877 and members originally used to train in Papermill Ditch. The original membership fee was 2/6! The Club has survived two world wars, moving to the Old Hartham Pool in the 1930’s (it was thought then that swimming in chlorinated pools wouldn’t catch on and people would rather swim in rivers!). We use Haileybury, Hartham and Simon Balle pools for training. We compete in the Arena, Herts Major and Peanuts Leagues and in many local galas and Open Meets. We hold our Club Championships in June and July and present our medals and cups in October. We hold our AGM in June. We have competitive water polo squads for adults & children & also a swimming session for adults over 18 years to train for stroke development, fitness or competition. We aim to give each swimmer the opportunity to realise their full potential, to take pride and pleasure in continuously improving their fitness and performance, and to develop team spirit, sportsmanship, self-discipline and self-esteem. We encourage our teaching staff and helpers to develop and share relevant skills. We value and encourage the support of our swimmers’ families and friends, with whom we share our success and work to resolve any concerns to ensure that our club provides a safe and happy environment for everyone.